In the week since his death, much has been written about Birch Bayh‘s time in the U.S. Senate, and his place in the pantheon of American history. This is all rightfully so, as Bayh’s impact rivals that of any Hoosier to serve in our nation’s capital in any capacity. But before he was serving Hoosiers in Washington, he was a farm boy from Vigo County serving Hoosiers in Indianapolis over four terms as a State Representative. None of the obituaries give this time at the State House more than a passing mention, and only then because because he served for a term as the Speaker of the House. I suspect this is for a few reasons. First, for most Hoosiers, the Indiana General Assembly has never been as visible as it’s federal counterpart. This was particularly true in the era Bayh served when the legislature only met for a barely more than two months every other year. 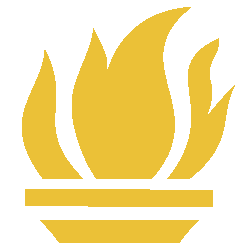 Second, this lack of visibility and interest means there is little widely available material on the Indiana General Assembly prior to the last decade or so. 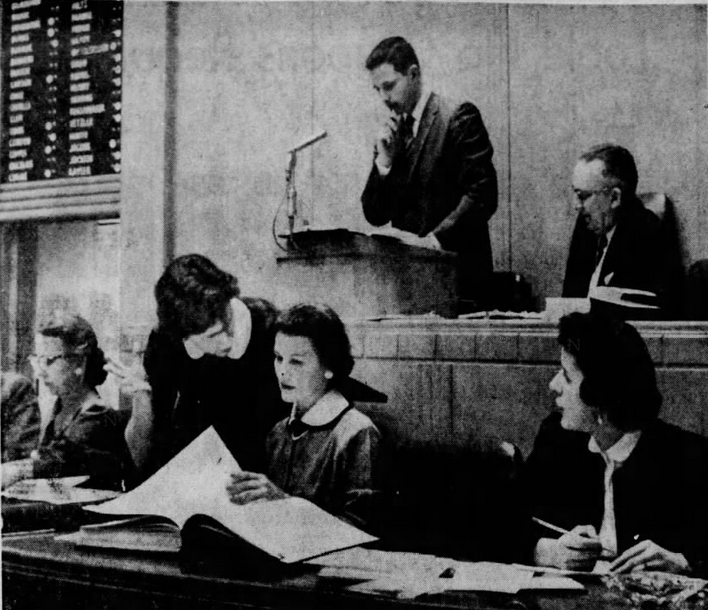 Researching the goings on in our legislative bodies requires access to newspaper archives and session journals, which can typically only be found at a library. And third, none of Bayh’s state legislative work product compares to authoring Constitutional Amendments or Title IX. But while it may be true that Bayh’s time writing state law in the 1950’s gave little hint of the historical magnitude to come when he started writing federal law in the 1960’s, what does emerge is the beginnings of his legacy as one of the most brilliant and naturally gifted politicians our state has ever seen. When they decided he would run for one of the three Vigo County state representative seats in 1954 at the age of 26, Rep. Walter Maehling took the aspiring young pol under his wing and helped show him the ropes of campaigning. He couldn’t have asked for a better mentor: Maehling had just finished his second term as the House Minority Leader, and had been elected to represent Vigo County in the previous six elections. The student quickly became the master, however, going door to door throughout the county with Marvella to talk with voters. But Bayh’s relentlessness in connecting directly with voters didn’t always have a pleasant ending. After failing to find one particular precinct committeeman at his house on several occasions, Bayh finally decided one afternoon to wait in the driveway until the man came home. He fell asleep with his head on the steering wheel, and awoke after dark with a flashlight shining in his eyes and a gun in his face. As Bayh recalled, “He ordered me off his property. I couldn’t see any point in arguing with a double-barreled shotgun, so I left.” Nonetheless, on Election Day, the retail campaigning paid off: As popular as Maehling was, the charismatic Bayh earned 69 more votes and led the Democratic ticket countywide. Bayh’s first session in 1955 saw him co-author five bills that would become law, though he took the lead on none and none were particularly memorable. It was on the House floor that session, though, where his star began to shine. When Maehling announced he would step down from the Minority Leader post in 1956, Bayh quickly capitalized on the reputation growing around his political and oratory acumen. At 28 years old, and with only one term under his belt, he won a four-way race to lead the Democratic caucus. It wasn’t a particularly enviable job: President Eisenhower won Indiana in a landslide in 1956, and his coattails gave Republicans a 76-24 majority in the Indiana House. Bayh again saw limited legislative success in the 1957 session, with another five relatively routine measures becoming law (including three he primarily authored, two of which focused on local matters in Vigo County). But two things happened after his second session that would broaden his view on writing laws. First, in the fall of 1957, he enrolled at Indiana University School of Law to begin formal training in the legal profession. Second, the Democratic wave that swept over the country in the fall of 1958 washed up on his doorstep. Indiana Republicans still controlled the Governor’s office, the majority of statewide offices, and the State Senate, but Democrats suddenly had a 79-21 advantage in the House. At the age of 30 and just halfway through law school, Bayh was unopposed within his caucus and became the Speaker of the House and the leader of a legislative supermajority. In his eloquent opening remarks of the 1959 session, Speaker Bayh mused, “To some degree at least, the title is misleading, for I will do less speaking on pending legislation than anyone else in the House.” He was correct as his name wasn’t on a single bill (as is typical for the chamber’s leader) and he isn’t recorded as giving another floor speech that session. By the time the session was concluded a few months later, Democrats had achieved most of the priorities laid out by Bayh. His success and rapidly rising star made him a popular speaker on the Jefferson-Jackson Dinner circuit that spring, giving him the opportunity to travel the state and form political alliances that would pay off when he ran for U.S. Senate just a few years later. As part of his stump speech, he enumerated the Democratic wins despite divided government: a new K-12 school funding formula; higher minimum salaries for K-12 teachers and college professors; new supplemental unemployment benefits; a new flood control program focused around the White River and throughout the Wabash Valley; and new comprehensive probation program to address juvenile delinquency. These represented nearly all of the goals he had mentioned in his first speech, failing only to reform the property tax system and to repeal Indiana’s Right to Work law. He wouldn’t get a second chance on those issues from the front of the chamber. After the 1960 election, Democrats lost more than half their seats and were back in the minority with only 34 members; Bayh was again elected Minority Leader. But his legislative focus was decidedly different: Where his pre-Speakership bills were entirely narrowly focused and parochial, in the 1961 session the bills he authored began to tackle statewide issues in big ways. He saw measures he wrote become law that reformed the way property taxes were assessed; that organized the Department of Education and further altered the school funding formula; that tackled the growing problem of narcotics on a number of fronts; and–foreshadowing his Senate career–that ratified the 23rd Amendment to the U.S. Constitution which gave D.C. the right to vote in presidential elections. When the session ended, Bayh assessed where things stood: At just 33 years old, he had already served four terms as a state legislator, including two as the Minority Leader and one as the Speaker. Having just graduated law school, he was already emerging as one of the most influential bill writers in the Democratic caucus. He had used his leadership positions and his reputation as one of the best politicians on the Democratic bench to build a statewide network of support. He had a wife who not only supported him, but provided him with keen political advice. Their son, Evan, was now in grade school, which gave them more time to contemplate that run for the higher office that had been predicted since that home rule floor speech in his first term. They decided he would forgo another term in the state legislature and instead challenge Republican U.S. Senator Homer Capehart, who was seeking an unprecedented (for Indiana) fourth term. But Bayh would first have to secure the Democratic nomination, and Indianapolis mayor Charles Boswell was seen as the prohibitive favorite to win at the state convention because of the large Marion County delegation. 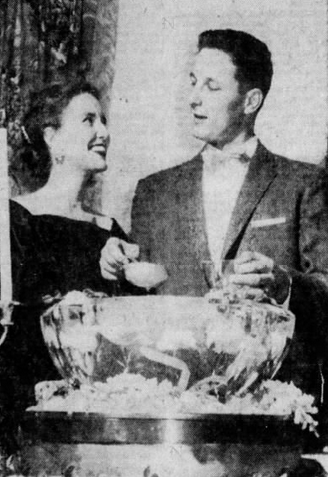 But Bayh had two things going in his favor ahead of the June 1962 convention. First, he drew on his experience with retail campaigning, logging what he estimated was over 70,000 miles in sixteen months to personally meet with convention delegates. Second, he had the support of new Governor and old ally Matthew Welsh. Welsh had been elected Senate Minority leader at the same time Bayh became the House Minority leader in 1957; helped shepherd Bayh’s Speakership agenda through the upper chamber in the same post in 1959; and then relied on Bayh to help push his own agenda through the legislature when he became Governor in 1961. 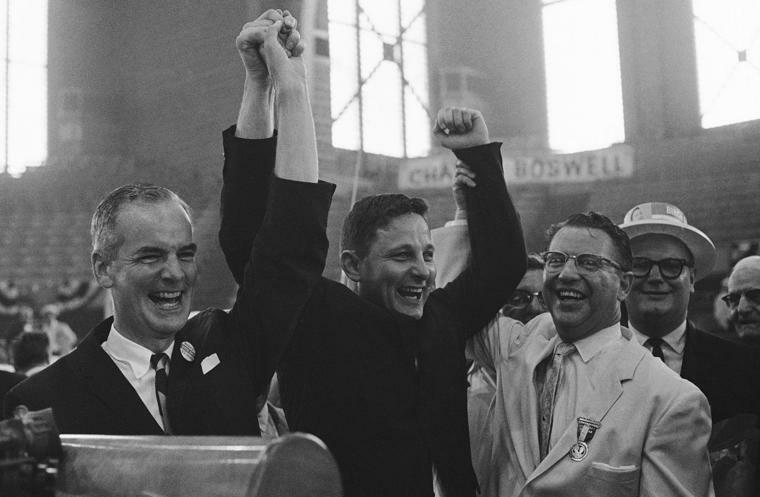 Despite the initial underdog status against Boswell, Bayh won so convincingly that the Indianapolis mayor left the convention a half hour before the votes were tabulated, conceding the race to reporters while getting into his car. Throughout the fall, Bayh would continue to draw on the campaign style he had perfected in his early legislative races and the run-up to the convention. All the handshaking and lapel grabbing paid dividends: When the votes were counted on November 6, he had pulled off an historic upset, ousting Capehart by just under 11,000 votes, or 0.6%. From here, Bayh’s story is well known. In hindsight, it’s hard to imagine he would have achieved as much success—either politically or legislatively—without the experience he gained during his meteoric rise in the Indiana General Assembly. And yet, until now the story of who he became as a U.S. Senator has greatly overshadowed the story of how he became a U.S. Senator, the latter having been largely confined to the dusty pages of old books and microfilm. Our state and nation owe much to the late Senator; he, in turned, owed much to the Indiana General Assembly that helped turn a farm boy into a modern day Founding Father.